I’ve grown up believing that the Ten Commandments, including Sabbath keeping, carry over into the New Covenant, along with the Lev. 23 Holy Days and the clean and unclean meats laws. I still believe that, but now I’m starting to wonder why we keep those things and not others like the command to put tassels on our garments (Num. 15:37-41) or blow shofars on Holy Days (Ps. 81:3-4). When I ask this question, I’m usually told that not everything from the Old Covenant applies, and when I ask how they know which ones to keep they say, “It’s our tradition.” In my mind, that’s not a good enough answer, so it’s time for some Bible Study. If you read through the laws of the Old Testament, you find quite a lot about the Levitical priesthood. Some of these are described as “a statute forever to their generations on behalf of the children of Israel” (Ex. 27:21), yet it is evident that Christ’s priesthood supersedes that system. If the switch to the New Covenant changed that, how much else was changed? When it talks about a change of the law, I think we often imagine quite a disconnect between the Old and New Testament. We think of change as in something old being replaced by something completely new, but I think perhaps the change is more in how God’s laws apply. The Old Covenant was replaced with the New (Heb. 8:13), but God’s laws were not done away with. Even before the Old Covenant was instituted at Mount Sianai, God had laws in place. We can see this in Genesis 26:5, where God says, “Abraham obeyed My voice and kept My charge, My commandments, My statutes, and My laws.” Since God is unchanging, His standards for what He expects from us do not change either. Jesus said, “till heaven and earth pass away, one jot or one tittle will by no means pass from the law till all is fulfilled” (Matt. 5:18) In the Greek, this means “filled to the fullest extent.” The laws were brought to a spiritual plane, much as physical Israel became spiritual Israel. You still keep the physical laws, but there is a spiritual aspect as well, and we are held accountable for what goes on inside us as much as for what we actually do (Matt. 5:17-30). 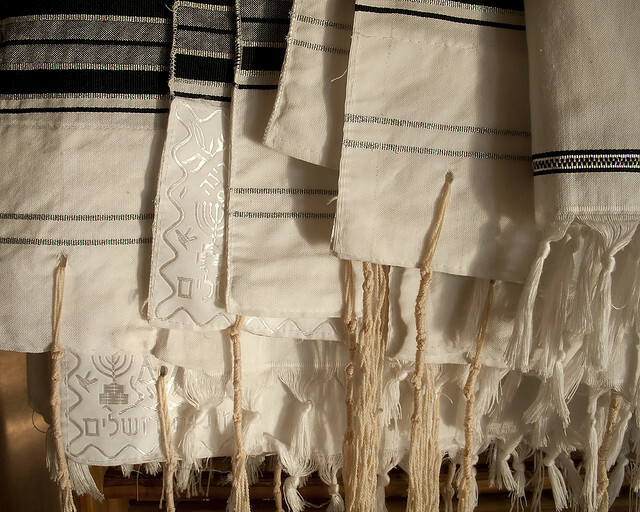 The laws governing the Levitical priesthood are examples of parts of the Old Covenant that have already been filled to the fullest extent by Jesus Christ. We don’t have a physical priesthood any more because He is our High Priest forever. We don’t sacrifice animals any more because Christ’s sacrifice completely fulfilled all the Old Testament commands for blood sacrifices. Without a physical priesthood or temple, many of the ceremonial laws no longer apply to spiritual Israel. Though we as the New Testament church can examine and learn from them and how they foreshadowed Christ’s role as priest and sacrifice, people in the church no longer serve as priests and we no longer sacrifice animals. Similarly, there were civil laws given to govern the nation of Israel that are not in effect now because the church is scattered through other physical nations with their own laws. Many of the civil laws had a moral aspect, though, and this is updated for us to follow under the New Covenant. Take, for example, the law that said a man and woman who commit adultery must both be put to death (Lev. 20:10). The Pharisees brought Jesus just such a case, and Jesus told them, “He who is without sin among you, let him throw a stone at her first” (John 8:7). When all her accusers left, Jesus told the woman, “Neither do I condemn you; go and sin no more” (John 8:11). Jesus didn’t say that she hadn’t committed a sin. He said that there was room for mercy and forgiveness even of sins that had formerly incurred a physical death penalty. For judicial matters, Christians are now under the laws of the countries we live in. For moral matters, God’s laws are applied to spirit and in truth with an emphasis on mercy. Is there a guy in your church shaking up with his step-mother? We don’t stone them as was the case in ancient Israel (Lev. 20:11), but we do make it clear that behavior like this is morally wrong and won’t be tolerated in the church (1 Cor. 5:1-13). If he repents, you have to welcome him back just like God welcomes us back into relationship with Him when we repent of our sins (2 Cor. 2:3-11). There are also aspects of the Old Testament laws that we are specifically commanded to continue observing. This includes the weekly Sabbath (Heb. 4:9) and Passover (Luke 22:19-20). We infer from these specific commands, and from the fact that Jesus and His disciples observed the other Holy Days, that all those days are still commanded observances. Even more obvious is the fact that we should be keeping the Ten Commandments, which are succinctly comprehended in the two greatest commandments. God’s focus is on our hearts, and whether or not we choose to keep His commandments tells Him what our hearts are like. Jesus said, “If you love Me, keep My commandments” (John 14:15). The implication is that if we don’t keep His commandments, we are telling Jesus we don’t love Him. If our hearts are right, obedience to God naturally follows. My feelings on the question, “What is applicable under the New Testament?” is that everything God didn’t specifically replace/update to a spiritual level (the priest hood, physical temples, civil laws) are probably still in effect. It’s up to us to seek out the spiritual reasons for these commands and find a way to physically keep them. There are still some I’m not sure about — like those tassels on the borders of our garments or what we’re supposed to do on New Moons — but I want to keep searching and learning. I want to worship God the way He tells me to, not the way I think sounds like a good idea. The New Covenant is delivered in a New And Living Way, Heb.10:20. The Mystery of the Gospel is CHRIST WILL DWELL IN OUR FLESH, Col.1:26-27- Gal.2:20-21. John14:20: At that day ye shall know that I am in my Father, and Ye in me, AND I IN YOU. The Holy days, if kept, picture Gods Salvation plan for man. When Christ returns ALL NATIONS WILL KEEP THE FEASTS. In Gen.3:22-24 God sealed the Tree of Life off to man, Ancient Israel only had God with them, not in them. The Spiritual Law given to Ancient Israel at Mt Sinai was given on Stone Tablets. The moment Christ shed His blood for the New Covenant and ascended to the Father, the Tree of Life was opened back up to man. Man can now have God with them and IN THEM. It is the Work of Christ IN US that cuts out the sin, Eph.2:11-22. (Removing sin is pictured in Days of ULB). The world truly has been deceived, Rev.12:9. Christ will bring an end to this deception, Day of Atonement. I wouldn’t worry to much on the clean meat thing, Matt.15:16-20- Heb.9:8-14. Christ wants us, as individuals, to concentrate on building the New Temple, YOU. He wants us to bear MUCH FRUIT. Thanks for your comment 🙂 The Holy Days really are a beautiful picture of the plan of God. I love keeping them and having that yearly reminder of what God has done and is doing in our lives and in His plan for the whole world. I’ve wavered back and forth on the clean and unclean meat thing (in my mind — I’ve continued keeping the laws my whole life), but what really seals it for me is the fact that Noah was commanded to take extra clean animals on the ark in Gen. 7:2 and 7:8. That tells me God has intended people to keep the clean and unclean meats laws pretty much since the beginning, and it doesn’t make sense that He would suddenly change His mind. Yes, our hearts are the most important thing He’s looking at, but that doesn’t excuse me from keeping the other things that I feel convicted to observe. I exhort you to continue to do thoses things that strengthen your faith.